What do companies like Procter and Gamble know that you don’t know? LEGO® SERIOUS PLAY® gets results. Here are a few reasons why this methodology works so well. Don’t you want your team members to access more of their brain? Even if your team doesn’t always see eye to eye, LEGO® SERIOUS PLAY® can help you understand each other better. Can you imagine how much more productive this kind of deeper understanding would make your team? At a Creative Sandbox Solutions™ LEGO® SERIOUS PLAY® workshop with a trained and certified facilitator, everyone builds, and everyone shares. Isn’t it time you tapped the untapped genius of everyone on your team, not just the “usual suspects”? Of course we had to mention this. But having a ridiculously good time is not just about fun and games. When your team is fully engaged and in flow at a LEGO® SERIOUS PLAY® workshop with Creative Sandbox Solutions™, they’ll be working as hard, if not harder, than at a typical meeting — it just won’t feel like it. Because with us, play isn’t the opposite of work, it’s how we make work more effective. You’ll be amazed at how much we accomplish, and how much your team remembers from our time together. That’s the power of play at work. Wouldn’t you love to put that power at work for your organization? 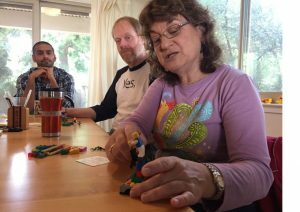 Running a LEGO® SERIOUS PLAY® workshop is not just a matter of tossing some LEGO® bricks on a table. 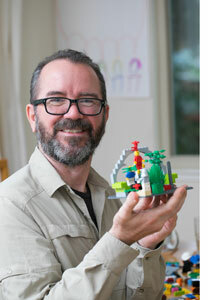 LEGO® SERIOUS PLAY® is a powerful tool, grounded in science and decades of research. But even the best tool is useless in the hands of someone who hasn’t been trained how to use it. Chances are, though, that you won’t be nearly as satisfied with the results as if you hired a pro. Wouldn’t you rather feel confident that your facilitator will deliver results? Why Hire Creative Sandbox Solutions™? 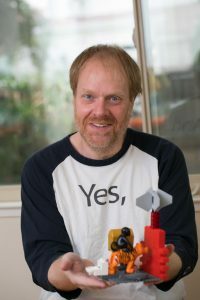 Creative Sandbox Solutions™ collaborators have all been trained and certified in LEGO® SERIOUS PLAY® methods and materials by the best: Strategic Play®, founded by Jacquie Lloyd Smith, one of only four LEGO® SERIOUS PLAY® Master Trainers worldwide. 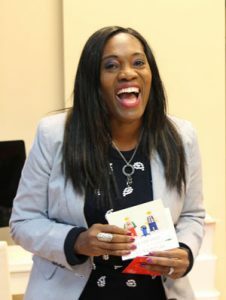 Jacquie served as one of the original members of the LEGO® SERIOUS PLAY® Training Board in the LEGO Play4Business Division. Before the system went open source, she trained and certified people on behalf of the LEGO® Systems Group. Before turning their focus to training facilitators of LEGO® SERIOUS PLAY® methods and materials, the Strategic Play® group led LEGO® SERIOUS PLAY® workshops for hundreds of organizations and municipalities as diverse as Proctor and Gamble, the United Way, and the United Nations. 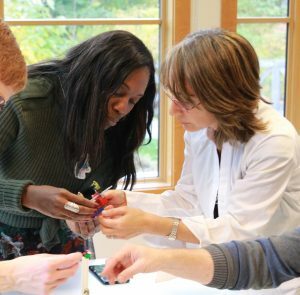 We bring a diverse skill set in addition to our training with Strategic Play®, and we are committed to developing new skills, continuing our training, and integrating other compatible tools with LEGO® SERIOUS PLAY®. Read more about us here. Use the form below to get in touch with us about scheduling a time to chat about how we can work together.